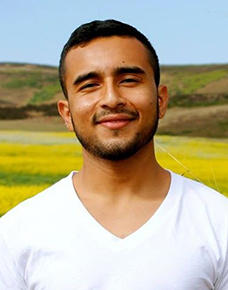 SAN FRANCISCO—The editors of Narrative Magazine announced today that poet Javier Zamora is the winner of the 2017 Narrative Prize for the best work by a new or emerging writer published this past year in Narrative. Celebrating fourteen years at the vanguard of digital publishing, Narrative awarded its 2017 Narrative Prize to Zamora for his poems “Sonoran Song,” “To the President-Elect,” and “Thoughts on the Anniversary of My Crossing the Sonoran Desert.” The $4,000 Narrative Prize award recognizes the arrival of a remarkable young poet whose talent and accomplishments signal his staying power. Born in El Salvador, Zamora traveled alone to America at the age of nine. Now, eighteen years later, his reputation as a poet and immigrant advocate is widely recognized. After graduating from the University of California, Berkeley, he received his MFA at New York University and is currently a 2016–2018 Wallace Stegner Fellow at Stanford University. His debut collection, Unaccompanied, was released from Copper Canyon Press on September 5. Previous Narrative Prize winners include Natalie Diaz, Michael Dickman, Sara Houghteling, Min Jin Lee, Anthony Marra, Maud Newton, Nathan Poole, Austin Smith, Kirstin Valdez Quade, and Ocean Vuong. Founded in 2003 by New York Times–bestselling author Carol Edgarian and acclaimed editor Tom Jenks, Narrative was the first and remains the foremost all-digital literary magazine, a not-for-profit publication dedicated to supporting the best in reading and writing across generations, in schools, and around the globe. Narrative provides its content free to readers while paying writers fairly for their work. The magazine and its archive offer thousands of original works by emerging writers and by established authors such as Sherman Alexie, Jennifer Egan, Ted Kooser, Jhumpa Lahiri, Alice Munro, Joyce Carol Oates, Tobias Wolff, and many others. Awards received by Narrative authors include the Nobel Prize, the Pulitzer Prize, the National Book Award, and more, and work in Narrative is often chosen for collections such as the Best American Short Stories, the O. Henry Prize Stories, the Pushcart Prize series, and many others.